Orlando, FL., On September 5th, JIRACOR, LLC, a current 8(a) participant serviced by the North Florida District was recognized as one of the top 2018 success stories by Prospera (prosperausa.org), the premier Hispanic business serving organization in the state of Florida. The annual Success Stories Luncheon is a fundraising event that brings the community together with outstanding small business clients. The honorees are selected based on the excellence, innovation and the growth of their small business in the state of Florida. Alongside a full house with over 500 attendees, Prospera celebrated the advancement of small businesses, Hispanic entrepreneurs (including women and veterans), and the impact of their year round services. This year, JIRACOR was recognized due to their fast growth, as well as their leadership and role model working with other Hispanic businesses in the area. Orlando, FL., (July 17, 2018) – JIRACOR, an Orlando, FL based SBA 8(a) small business, has been selected by the Orlando Operations of Cubic Global Defense, a business division of Cubic Corporation, as a member of its team to support continued development of the Immersive Virtual Shipboard Environment (IVSE) game-based learning (GBL) courseware for the U.S. Navy’s Littoral Combat Ship (LCS) training program. “This opportunity to work on the creation of virtual and immersive training courseware with our Prime Contractor, Cubic Global Defense, is a major milestone for JIRACOR,” said Jeannette Coronado, CEO of JIRACOR. JIRACOR has hired additional Software Engineering staff to specifically support the development of IVSE Operations & Maintenance courseware for the combat systems of both variants of the LCS, Freedom and Independence. “Being part of the Cubic team is a great honor for us in providing the new functionality and virtual content for the current LCS virtual training environment. Together with Cubic Global Defense, we will work closely with the U.S. Navy so our warfighter has the best possible training capability,” adds Coronado. 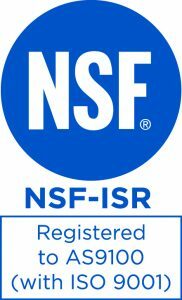 Orlando, FL, December 22, 2017 — JIRACOR is happy to announce that we have successfully passed our ISO 9001:2015 and AS9100-2016 Rev D certifications. As an Small Business, achieving these major milestones it reinforces our customers that JIRACOR is committed to providing high quality services and products!